Washington DC, March 8.– Sen. Patrick Leahy (D-Vt.), Sen. Bernie Sanders (I-Vt.) and Rep. Peter Welch (D-Vt.) joined House and Senate colleagues in introducing legislation to restore a free and open internet. The legislation would overturn a 2017 move by the Trump administration's Federal Communications Commission (FCC) that gutted net neutrality protections enacted by the Obama Administration. In a joint statement, Leahy, Sanders, and Welch said: "A free and open internet is essential to our economy, a free flow of ideas, creativity, and participatory democracy. The Administration's decision to repeal net neutrality is bad for our democracy and bad for consumers and entrepreneurs, especially in rural areas, and a gift to the big telecom companies who can now pick and choose who has access to the internet and at what speed. Our legislation will reverse this anti-consumer move and ensure that the internet remains open and accessible to all Americans." 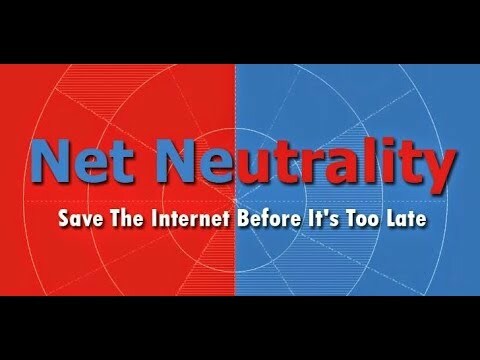 Feb. 27 (DP.net).– Early last year we sound a warning bell about the real danger of losing WEB neutrality as a result of the huge blow dealt by the FCC when it passed new rules against the open Internet Americans have enjoyed since its inception. For this purpose we published in January 2018 a campaign to collect signatures sponsored by Consumer Union that was quite successful but it was not enough to stop that nonsense (read it HERE). However, a year after net neutrality was repealed, Americans finally have some momentum in the fight to keep the Internet free. It is critical that all Americans continue to call for major protections that will make sure all content is treated equally and keep the Internet fast, FREE and fair for everyone. Small businesses, consumers and non-profits could still suffer massive impacts resulting from such unfair rules. Berlín, Ene 4.– Alemania ha empezado el año con el peor ataque cibernético de su historia, con la filtración masiva de documentos y datos personales de sus políticos y gobernantes, incluidos la canciller Angela Merkel y el Jefe del Estado, Frank-Walter Steinmeier. Pese a los escudos de seguridad instalados en la red por los servicios de inteligencia tras los 'hackeos' que ha venido sufriendo desde Rusia, que vuelve por ello a estar bajo sospecha. Expertos informáticos creen sin embargo este robo histórico de datos no se ajusta al modus operandi de los 'hackers' porque incluye la difusión de fotos con niños, lo que atenta contra la ética de esos activistas. Apuntan a un acto criminal con fines de extorsión o para difamar al personaje. Sus algoritmos, a examen ─ La pregunta del millón: ¿cuánto sabe Facebook sobre ti? ASCE 2013. Conversation on Cuban Civil Society Today (5) Cuba's Ladies in White | People & Power Sen. Rand Paul Speaks Out Against Senators Voting without Reading the Bills - 6/29/12 Diálogo con el Presidente de BanColombia (1 de 2) Diálogo con el Presidente de BanColombia (2 de 2) Charlas entre generaciones: "Anatomia de una Revolución"